Whether it is about college Acceptance Letters or letter of acceptance school, it is important to be careful with the method of writing letters for college admission acceptance. Students apply for college admission in different courses. Not all, but only a few of them are selected. The selection has been notified at college notice boards generally. But, some colleges also keep the etiquette of sending college admission acceptance letters to the selected students. Use online samples to write such letters easily. 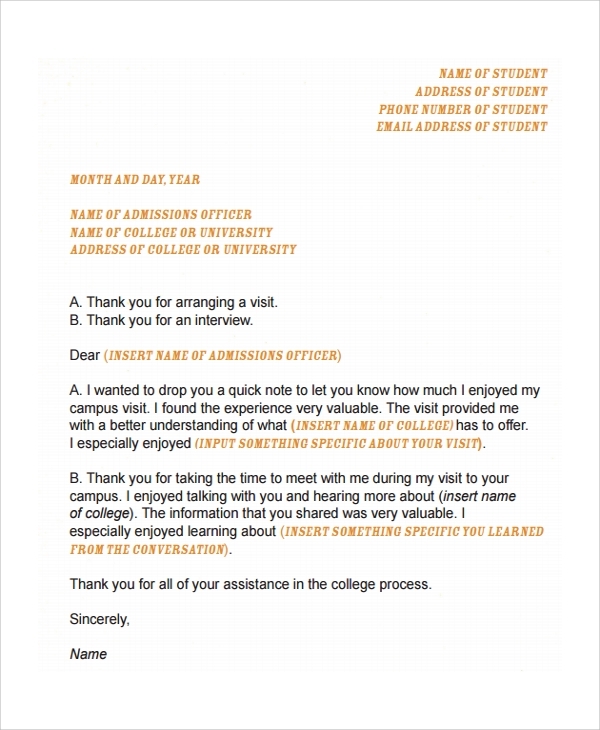 For accepting your admission to a college, you need to show a good gesture towards the college administration by writing them back a thank you letter. To write such letters, this can be regarded as a sample guideline. 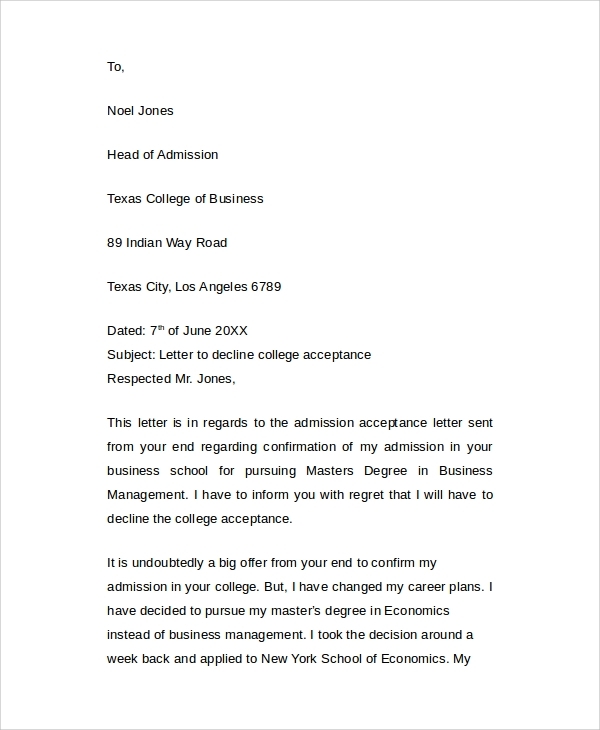 This is a sample letter for those, who want to thank the college management or authority for accepting their admission for pursuing graduation degree courses. Download this template and print to use for your purposes.You may also see formal letters. 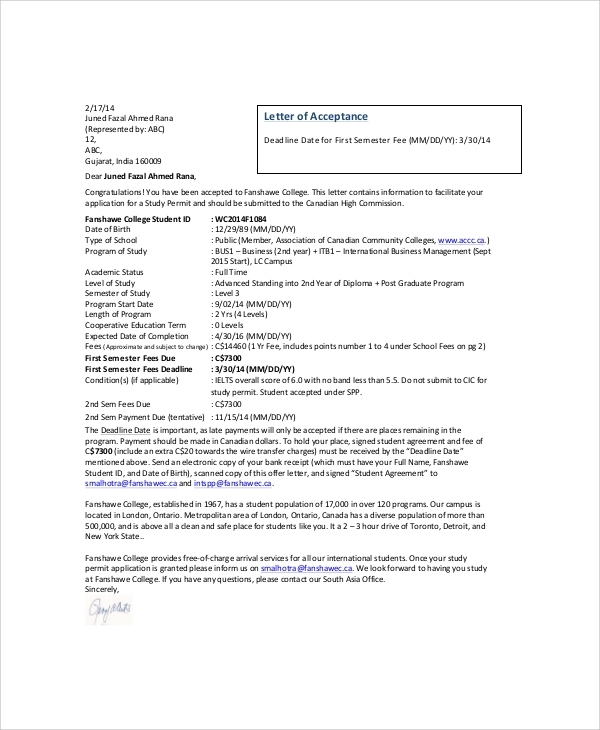 What are the Uses of College Acceptance Letter? College acceptance letters are like college application letter. However, the purpose and target audience of the letters are different. 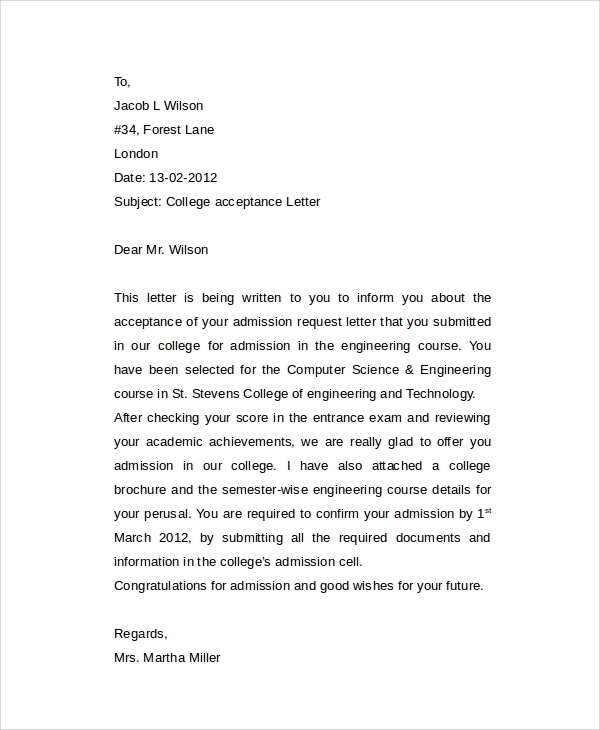 Admission letter is written by students, seeking admission to their desired courses, to the college management or authority. On the other hand, an acceptance letter is written by college management those who are selected for pursuing courses in the college by the management or group of faculties or administration. 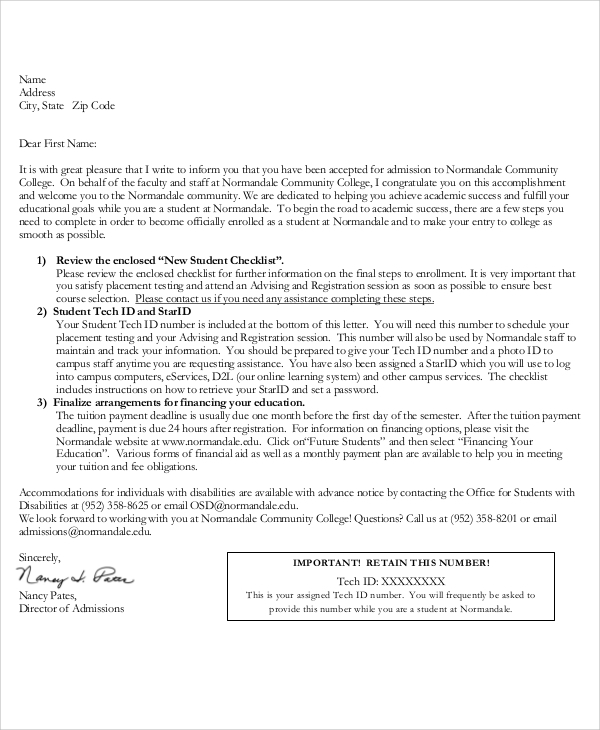 It is a common norm to send college admission acceptance letter to the students, mentioning the date of admission and other important information for them. Students also need to write back an acknowledgement letter to this acceptance letter to college management. You can also see job acceptance letters. Engineering colleges ask for the admission requests from the students every year at the scheduled time. Many applications are submitted and college administration screens the best students for college admission. Acceptance of admission has been reported to the students by sending them acceptance letters. Who Can Use College Admission Acceptance Letters? There are only a few people who know the techniques and methods of writing seamless professional letters. Writing personal letters is also difficult, but we can cope with those things. Writing professional letter is challenging because your reputation or impression is at stake with the letters. If the letters are not written in a proper way, they can create a negative impression in the mind of the reader. It is also important to follow fixed format and style of writing the professional letters. College admission acceptance is such a letter. College authority or management body has to write such letters to students who have been selected for pursuing courses. Writing college acceptance letters is not an easy thing, as it involves a lot of hassles. First of all, writing a professional letter is a job that needs serious approach. The letter carries your prestige and good gestures. Thus, it should not be written in such manner so that your prestige or reputation may get spoilt. Writing college admission acceptance letter is a job that college management has to be done regularly during the month of college admissions. This letter should be professional and perfectly formatted. 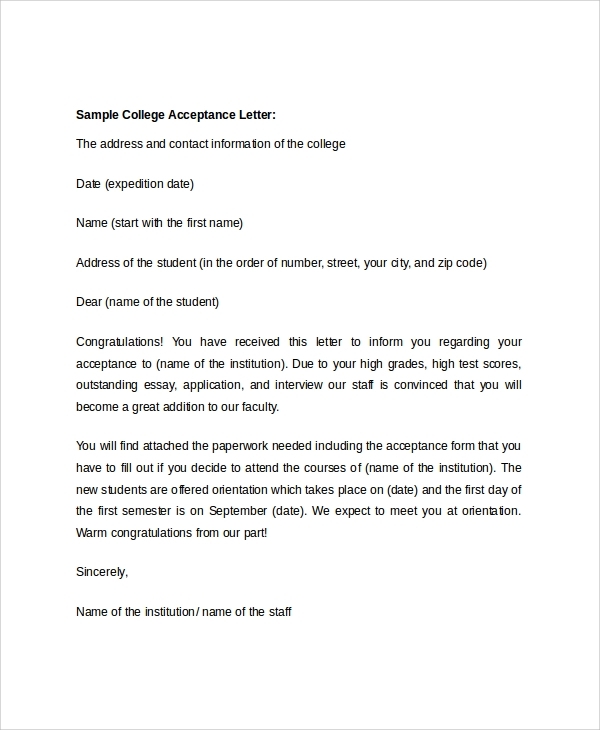 Instead of writing different letters for individuals, choose a template that can be customized within minutes before getting used.You may also see offer acceptance letters. 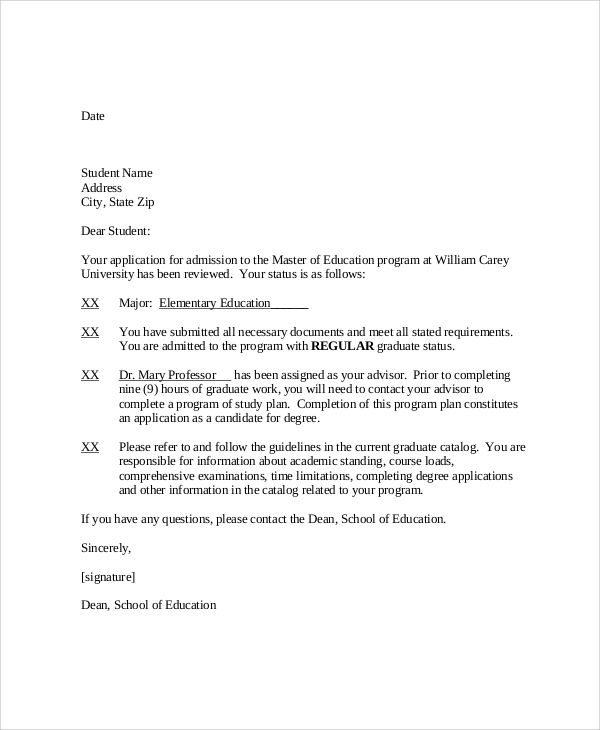 In order to write professional and well-versed college admission acceptance letters, college management has to find a fixed guideline and format for writing such letters. To get ideas how professional letters are written in this regard, you can opt for checking some online samples for college acceptance letter. 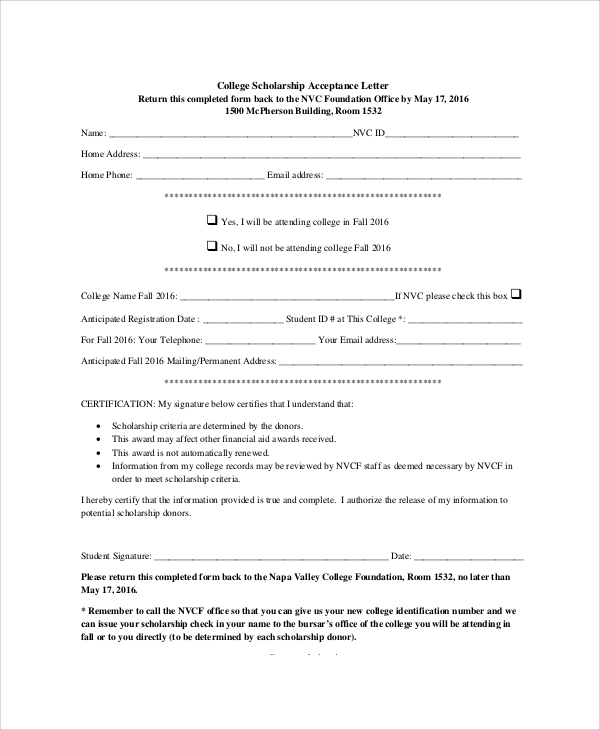 You can also see employment acceptance letters.